LiverpoolLashes Beauty Blog: Is Your Product Removal As Good As This? Is Your Product Removal As Good As This? You know that old saying of "the grass is always greener on the other side"? I believe that sometimes you have to take a step back and look at our industry to decide whether you're making more work for yourself than you have to. When you're fresh out of training you work so hard to get your timings down, so why have a product with a load of extra steps and waiting times? 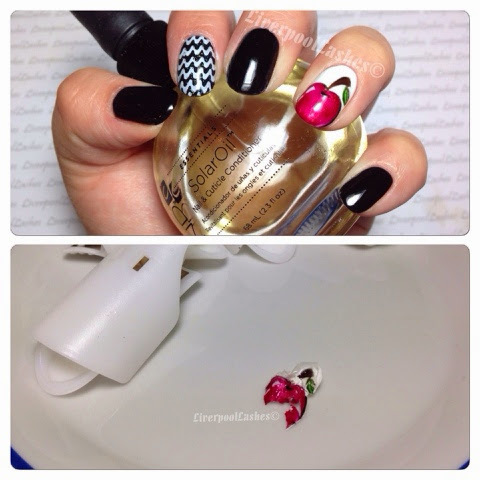 CND Shellac is known to be at the top of its game in terms of removal, compared to various gel polish brands. For those of you who haven't experienced it so far, it's set miles ahead for the easiest removal. This therefore maximises your time for the important reapplication, ensuring that you have a smooth canvas for a perfect finish and even saving time for nail art. I wanted to prove how easy the removal is that sets CND Shellac apart to any other product. What better way than to show you than to demonstrate removing my recent nail art design so that you can see how it just falls away when required with the remover. As you can see by the photograph, I managed to remove almost the entire nail all at once with virtually no effect and with the design almost completely in tact. The nail plate underneath was also shiny and healthy. If you're using an alternative brand, do you get these results at all I'm wondering? Do you have to work at it to remove it and then buff the nail plate to remove the remains? I hope that this post gives you food for thought. 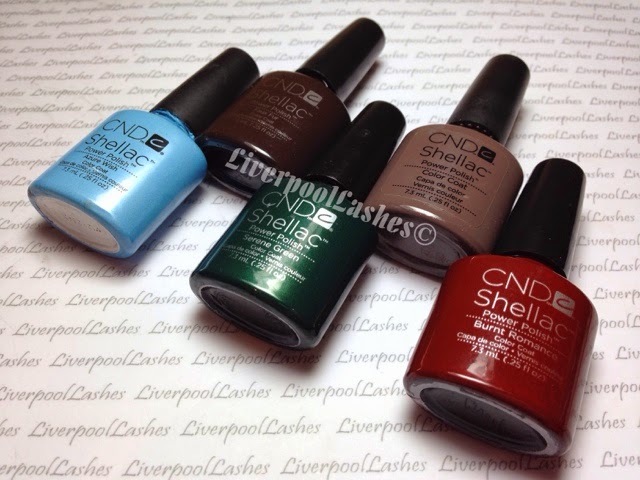 CND Shellac is a brand that I chose over three years ago for my business. I'm neither paid or asked to write these posts, I just enjoy speaking about the topics relevant to myself and my fellow nail technicians. The truth be known, it was my naivety in thinking that all brands performed similarly that sparked my interest to discuss it further with you all. I was incredibly mistaken when I was removing another brand's product which resulted in buffing the top coat away (sidenote: I found this difficult to do on myself!) and nearly 30 minutes of waiting around and product being so firmly attached that the rest had to be buffed off. As we all know, buffing will thin the natural nail over time which is against my ethos of caring for my clients nails. I'd love to hear how you get on with the removal of your chosen brand (and previous brands!) and perhaps suggestions on how they can make the CND Shellac removal even better. Perhaps they could shave a few more minutes off it - that would really set it apart from the rest!